I forgot to do a My Sunday Photo this week, so instead, I thought I would show you this easy cake I decorated. I am not the best at decorating fiddly cakes, but I'm not bad at making little models out of icing. 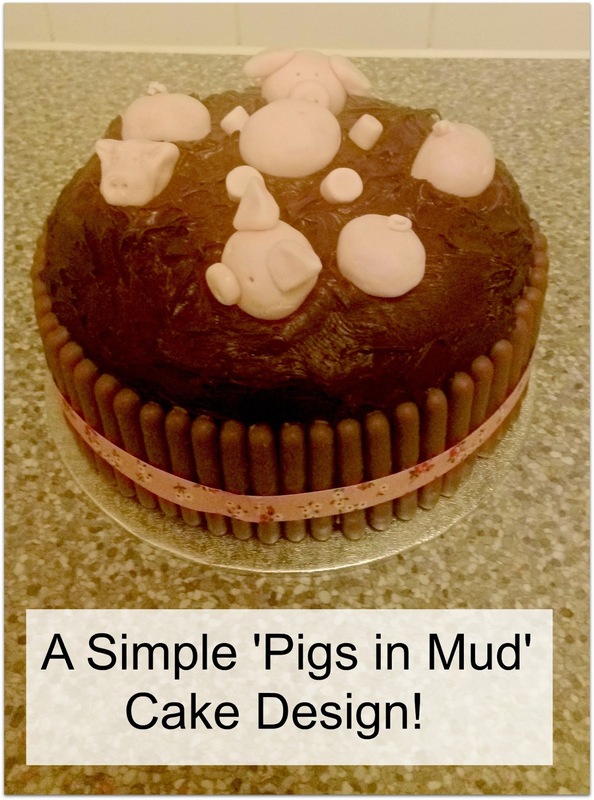 I had promised I would make a cake for a friend's birthday, so this 'Pigs in Mud' cake seemed like the ideal choice. 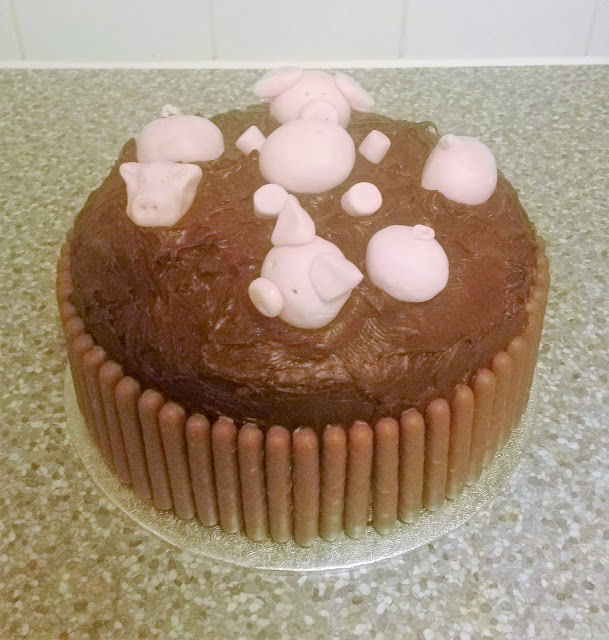 It's just a chocolate iced cake with various pig parts, made from icing. I managed to find pink modelling icing in Asda, which made it even easier. I made 3 heads, 3 bottoms, a tummy and 4 legs, and arranged them so that it looked like one was lying on its back, two were wallowing on their fronts and another was diving with just its bottom in the air, as you do. I think it would have looked better if the cake top had been a little flatter, but overall, I was pretty happy with it!